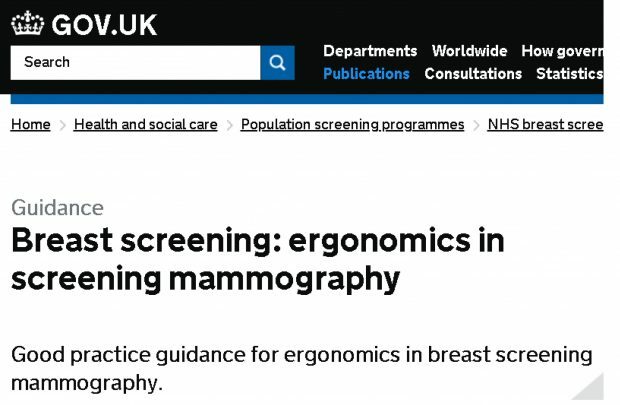 We have published new good practice guidance for ergonomics in breast screening mammography for employers and employees. 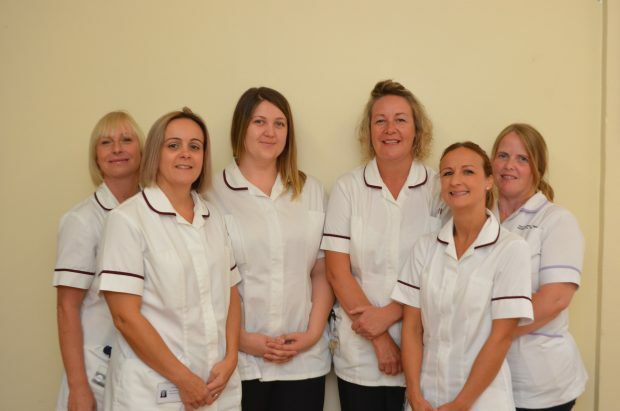 My name is Lynne Grey (3rd from right) and I am a newborn hearing screening co-ordinator. I want to share something we did in the Northamptonshire hospital I work in to promote the importance of newborn hearing screening - and the feedback we did afterwards. The launch of the new IT system for the Newborn and Infant Physical Examination (NIPE) is planned for spring 2019. 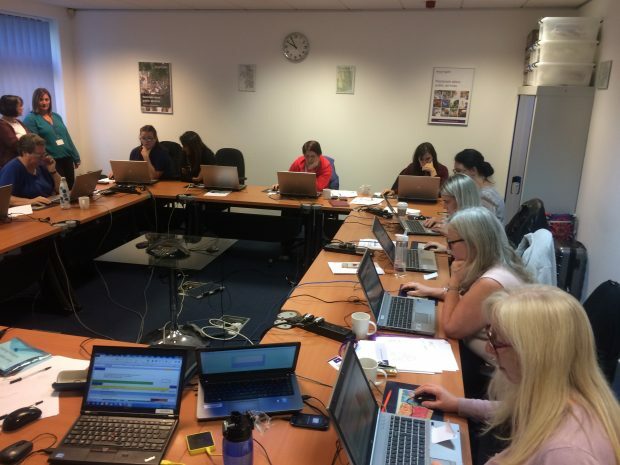 An enthusiastic expert group met in Nottingham for 2 days of intensive testing of the new IT system, SMaRT4NIPE (S4N). Between 2014 and 2017 Marie Coughlin was the lead officer for the Merseyside Cancer Screening Plan. She shares how she helped raise awareness of screening, particularly within vulnerable and hard to reach groups. Today we launch the new website for the Sloane Project. We have just published our new consolidated screening standards for the NHS Cervical Screening Programme. New blood spot cards will start to be used from mid-October 2018. Over the last few months we've been working hard to update and improve the existing cervical screening failsafe guidelines and screening services need to be aware of the updated requirements. 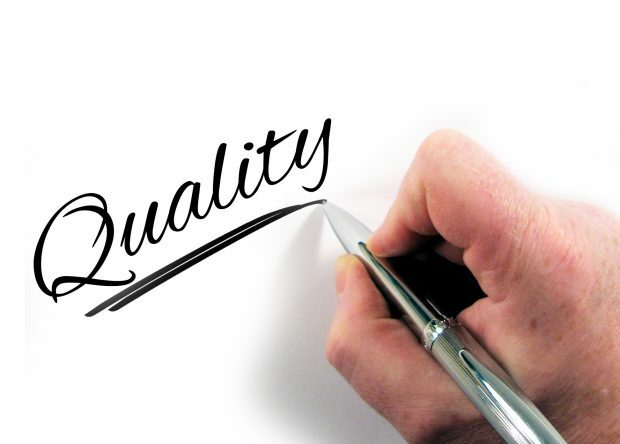 Princess Royal University Hospital, in Kent, has made a very simple change that is having a big impact on improving early access to sickle cell and thalassaemia screening. 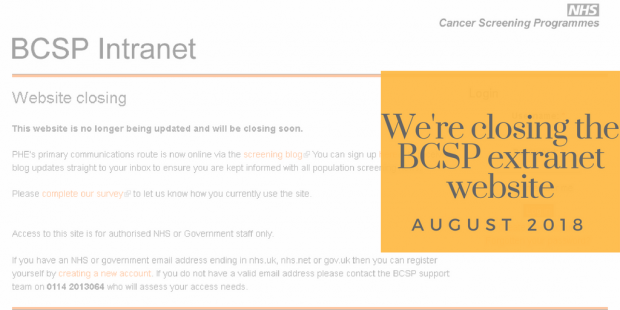 This blog is about the closing of the NHS Bowel Cancer Screening Programme (BCSP) extranet website.